HomeFREEDOMEND THE VACCINE LIE! TELL YOUR STORY! Be A Part of SPOTTING THE TRUTH! A Documentary For The People, By The People! END THE VACCINE LIE! TELL YOUR STORY! Be A Part of SPOTTING THE TRUTH! A Documentary For The People, By The People! Take a look at the project and if you can help in any way feel free to contact me. Currently there is an outbreak of mumps on college and university campuses across the US, and to a lesser degree there is a measles outbreak in some states. We would like to get interviews with people impacted by these outbreaks. Also in need are interviews with families impacted by SB 277 in California, as well as males and females impacted by the HPV vaccine, families impacted by vaccine injury, and those who embrace natural immunity. Anything you can do to help for this ‘work in progress’ documentary would be greatly appreciated. Share this project, participate, and make people aware that the vaccine lie is over! Is Big Pharma Murdering Our Cutting-Edge Doctors? 1 Comment on END THE VACCINE LIE! TELL YOUR STORY! Be A Part of SPOTTING THE TRUTH! A Documentary For The People, By The People! They pretend it’s the child’s fault, acting in a powerful group they blame innocent children and trusting adults. They say there was something wrong w/ the child or blame poor pre or postnatal care, it’s always someone else’s fault. 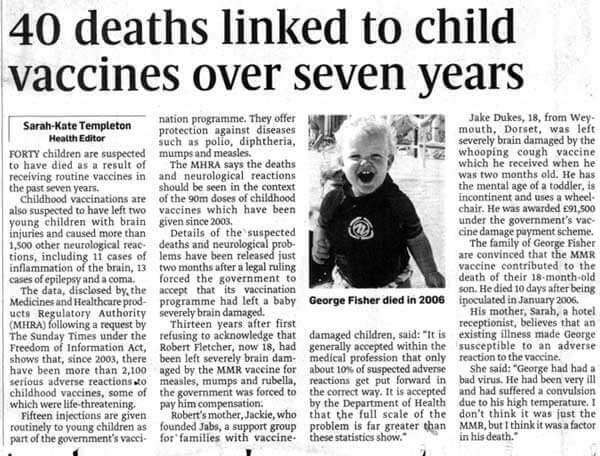 Truth will be expensive and injured children will receive justice because as long as vaccination programs continue, the compounding of the neurologically destroyed in need of lifelong care will produce such a financial drain on society, governments will look for a deep pocket. When the cover-up’s found out no one will care if they declare bankruptcy and go out of business.